The R.L. 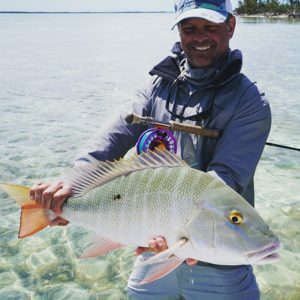 Winston Rod Company and Bauer Fly Reels have announced the welcome of Scott Harkins to their teams as Southern Rockies Sales Representative. The R.L. Winston Rod Company and Bauer Fly Reels are pleased to announce that Scott Harkins has joined the teams as Southern Rockies Sales Representative. Scott has been a fly fishing representative in the Southern Rockies for over 20 years and currently resides in Steamboat Springs, CO. His agency includes Chad Harkins and Carly Kolstedt and when not on the road, they can be found fishing all over the Rockies, or stalking a flat in Florida and throughout the Caribbean.